Grace College Alumni Services is providing a unique opportunity this April 9-10 for alumni and friends to experience the remarkable 70,000 square-foot Answers in Genesis Creation Museum just outside of Cincinnati, Ohio. This state-of-the-art facility brings the pages of the Bible to life in dynamic form, presenting the story of Genesis through realistic portrayals of the characters, animals, and events of the first book of the Bible. This excursion to the museum in Petersburg, Ky., includes a bus trip, overnight stay, and an opportunity to hear from tour host Dr. Don DeYoung, author of several BMH books, including Astronomy and the Bible and Pioneer Explorers of Intelligent Design. 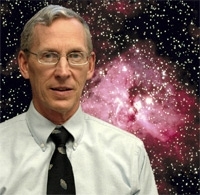 Dr. DeYoung joined the Grace faculty in 1972 and currently chairs the Science and Mathematics Department at Grace. He is a graduate of Michigan Tech University (B.S., M.S., Physics), Iowa State University (Ph.D., Physics), and Grace Theological Seminary (M. Div.). His writings have appeared in many periodicals. He has also written 20 books on Bible-science topics including object lessons for children. His website is DiscoveryofDesign.com. Dr. DeYoung is a member of the Indiana Academy of Science and the Au Sable Environmental Institute. He is currently president of the Creation Research Society with 1,700 members worldwide. This group funds research, publishes a technical quarterly journal, and operates a laboratory in Arizona. Dr. DeYoung speaks on a broad range of creation topics and believes that the details of nature are a powerful testimony to the Creator’s care for mankind. During the bus trip to northern Kentucky, guests will also have the opportunity to hear from a representative from Grace’s Alumni Services, who will be on hand to update alumni and friends on some of the exciting developments taking place on campus during Grace’s 75th Anniversary celebration, including the development of an endowed scholarship for alumni children. The registration fee is $125 per person for a double room occupancy and $175 per person for a single room, and covers museum tickets, hotel and transportation. RSVP by March 25 by calling (800) 544-7223 ext. 6127. The fee must be paid in full upon registration.